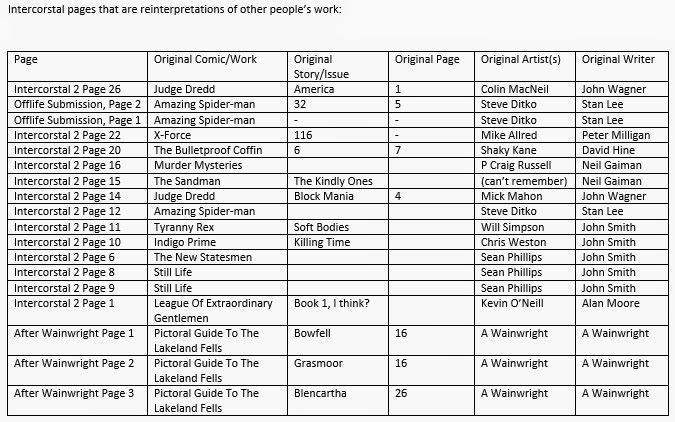 Here's a table I hastily threw together detailing where I'd used other people's work as a jumping off point for Intercorstal pages. It's mostly off the top of my head, so there might be some strays out there. Figured it might be of interest to peeps here.